I have a question about Tutankhamun's funerary equipment. Why is it that he has both the falcon (Nekhbet) head and cobra (Wadjet) on all of his coffins, his mask, diadem and on the canonic jars? I have not seen another example of a king's burial with both, just Wadjet. Other portrayals of Tutankhamun in the tomb (for example the guardian statues) just have him with Wadjet on his brow. There are also examples of kings and queens (more frequently, for example Tiye) with double uraeii, but these are both Wadjet. If this is not clearly documented by inscription, I would be careful with such a statement. Nekhbet can also occur in snake form... In my opinion, Egyptology assumes that this is the case especially for the mentioned representations of queen Teje (wife Amenhotep III). On some illustrations from the Amarna period the snakes wear crowns, one the white for Upper Egypt and the other the red for Lower Egypt. The earliest evidence of a king from the 18th Dynasty can be found on the replacement coffin for Amenhotep I (Cairo CG 61005 = JE 26211), albeit in a slightly modified form. 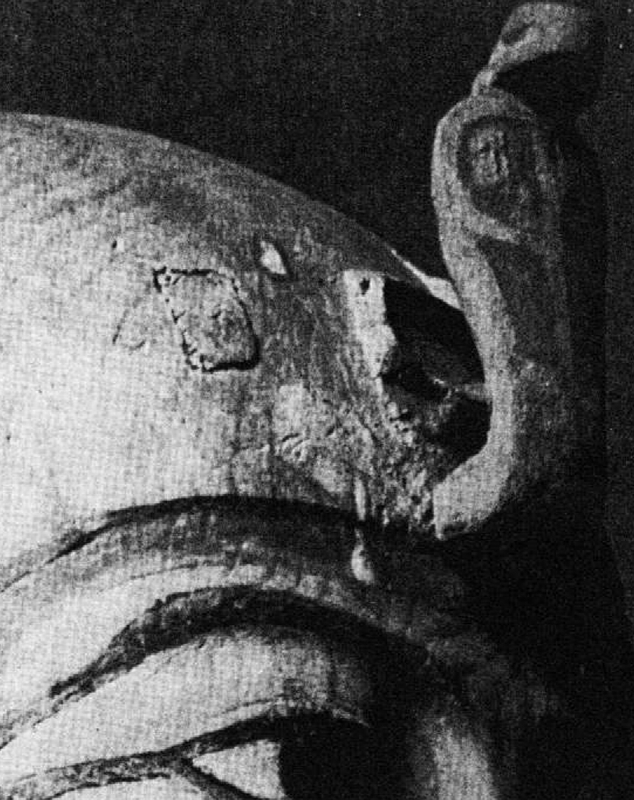 The Vulture is painted over the Uraeus on the crown of the wig. ...page 268, it may not have been two Uraei, as Daressy means in the Catalouge General (1902). According to a personal view of the objects in the Museum in Cairo, Russmann says that "... In fact one looks at the last traces, it is clear that the paired elements were not identical ...". She comes to the conclusion that the canopule covers probably looked similar like the one from KV 62 - Tutankhamun. The earliest evidence of a shabti with Vulture and Cobra is now in the Louvre in Paris (E 11107) and comes from the tomb of Amenhotep III in the West Valley. Another example is the canopule covers for Haremhab (Cairo JE 46809 / 46826 / 55369). Again, the identification as double Uraei by Daressy is, according to personal view by Russman in Cairo, obviously wrong. It can be clearly seen that the Vulture goddess was at least "planned", right next to the Uraeus, ie in the south, assigned to Upper Egypt, when the head of the mummy is aligned ritually to the west. On an ostracon from the casket room of the tomb of Merenptah the drawing of an upright standing coffin or sarcophagus is obtained (with measures). Nemes with Vultures and Uraeus are also clearly recognizable here (Carter / Legrain in ASAE 6, 1905, Plate III). Further examples are attested on / at Uschebtis for kings of the 19. & 20. Dynasty (inter alia Ramses II & VI). Vultures and Cobra are therefore probably on objects of the funerary equipment of the kings of the New Kingdom which are closely related to the mortal shell, so the mummy itself or the bowels. Furthermore, they emerge on individual Ushabtis. I am curious that on the Tutankhamun examples the uraeus is not central - Nekhbet is above the right brow and Wadget above the left. In the example from the coffin Ramesses II was found in the cobra is central but there was clearly something else there - perhaps it is a replacement. I will look at the references, thank you. What does not mean that she was in the originally planned version of the coffin? Behind her bloated breast shield you can still see the original place of her attachment, in my opinion. Oh yes there’s clearly something missing. I’m suggesting that it looks like the uraeus has been altered and possibly moved to a more central position. If you look at images face on and compare with any other examples the position isn’t right for it to be a double.